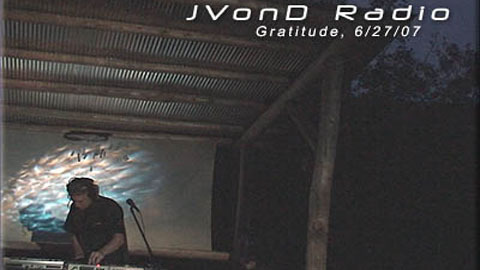 Enjoy a double dose of JVonD as they talk about the amazing Gratitude Hill Country Club in Gilpin County Colorado and hear tracks from the 6/15/07 live performances there. Comments by the “Drumulator” and Fernando. Extra video scenes of flying provided by Oblivion.